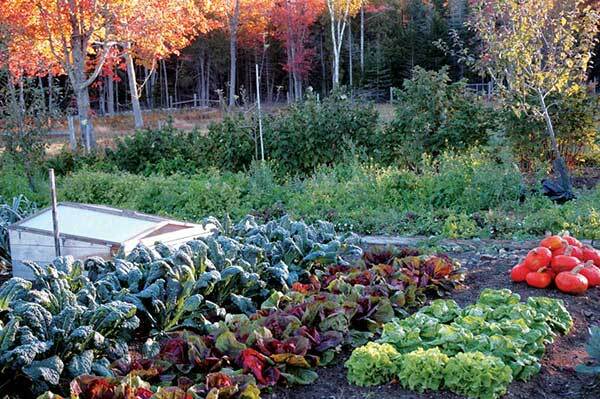 Most people focus on spring and summer gardening but forget that the growing season can extend into the fall. I really enjoy gardening later into the year, especially knowing I can feed my family healthy, fresh, organically home-grown veggies harvested straight from our garden. 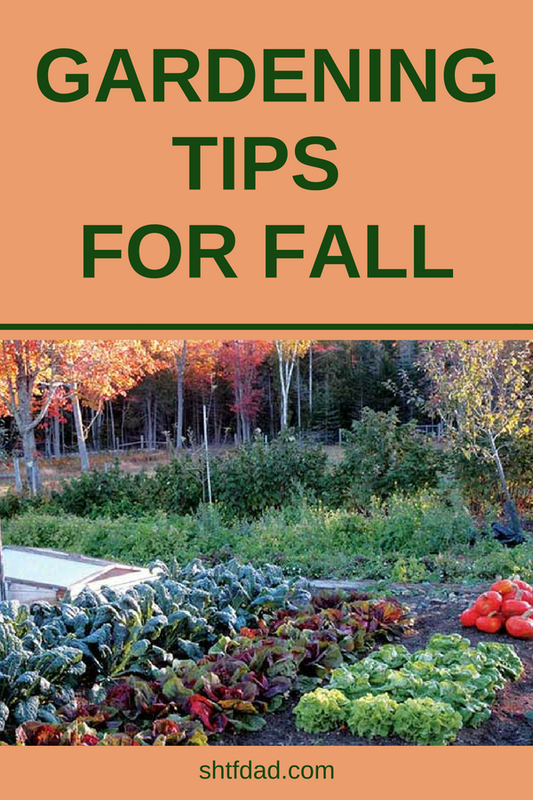 Since it is now time to start planting your fall garden, I’ll give you some gardening tips for fall. In order to start your fall garden, you’ll need to decide what you want to plant. Some successful fall vegetables include lettuce, spinach, kale, arugula, mache, mustard, Swiss chard, endive, broccoli, cauliflower, carrots, beets, turnips, rutabagas, leeks, Brussels sprouts, radishes, garlic, shallots, peas, potatoes, and collards. Next you need to determine what the first expected frost date is in your region. I found this handy site that’ll give you that information based on your zip code (http://davesgarden.com/guides/freeze-frost-dates/). Knowing this date allows you to work backward from your calendar and determine your planting date(s). Most of the time you’ll be planting your fall crops in late July and August. Take a look at your seed packet and determine how long it takes the plant to fully mature. Starting from your expected first frost date, count backward the number of days stated on your seed packet to determine your planting date. For example, my expected first frost date is September 28th. Let’s pretend that I want to grow a crop that takes 60 days to mature. I’ll look at my calendar, count 60 days back from September 28th, and determine that my seed-sowing date is July 30th. Of course, you can always get a jump ahead and start some seedlings indoors. 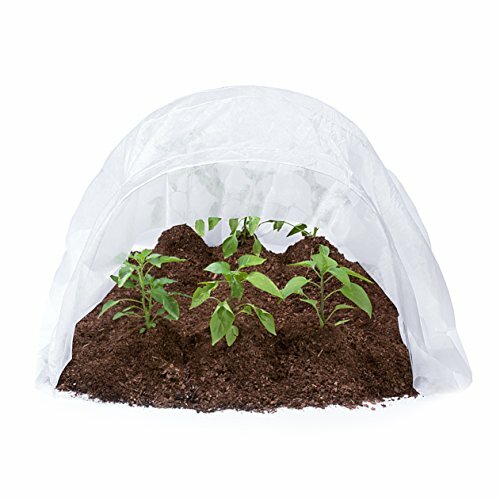 This allows you to protect them from the extreme heat while extending your growing season. Don’t forget to harden them off for about a week before transplanting them into the garden. Prepare your garden bed(s.) My family does raised bed gardening so I would just clean up the area, loosen up the soil a bit, and add a little bit of compost to help replenish nutrients that went to my earlier crops. If you plant in-ground, you should consider tilling and then composting. Plant your seedlings or transplants when appropriate (see above how to determine your frost dates). I like to put a little layer of mulch over my new crops. It protects them and helps keep them moist during the severe heat. It’ll also eventually break down and add even more nutrients to my garden bed. Use row covers made of tulle or a lightweight gardening fabric when planting your fall crops. This protects your seedlings from pests without trapping in the heat. Please don’t forget to keep the fabric off the plants. Keep seedlings very moist during the hot summer months. Once the nights are cool, protect your plants with a heavier fabric or cold frames. Be sure the fabric doesn’t rest directly on the plants by supporting it with some PVC or steel hoops or another structure. A three-inch deep layer of mulch helps retain some heat in the soil and keep your plants growing. Your plants will grow more quickly in the summer and slow down as the weather cools. This is due to the decreased amount of sunlight they’ll receive. You can keep your greens overwintered in your garden and then have them grow again to enjoy as early spring crops. Harvest your plants when appropriate. Sometimes harvesting them after one or two light frosts actually makes the crops a little sweeter, but be sure to harvest your vegetables before damaging hard frosts. Extend warm-weather crops’ growing season into the fall by protecting them from the cold. Cover the soil around it with mulch to seal in some heat and you can keep on harvesting those delicious tomatoes.